(Natural News) A study led by researchers from Thailand has revealed the dangers of genetically modified soybeans. The study found that genistein, the most prevalent phytoestrogen found in unfermented soy, is a substantial cancer-causing agent. Soybeans contain a variety of isoflavones capable of disrupting the endocrine system. Estrogen is a steroid hormone that is often affected by the consumption of these specific isoflavones, which are also referred to as phytoestrogens. These phytoestrogens have long been associated with an increased risk of breast cancer, but this new study has highlighted how synergistic the effects of phytoestrogens and glyphosate can be. When combined with glyphosate, as Roundup Ready soybeans are, the effects of breast-cancer causing genistein may be even more pronounced. Consumption of soybeans, particularly those of GM origin, in conjunction with glyphosate exposure, could indeed be a leading cause of the ever-increasing incidence of breast cancer. The Thai researchers also found that glyphosate actually acts on estrogen receptors in the body to promote the growth of hormone-dependent breast cancer cells. 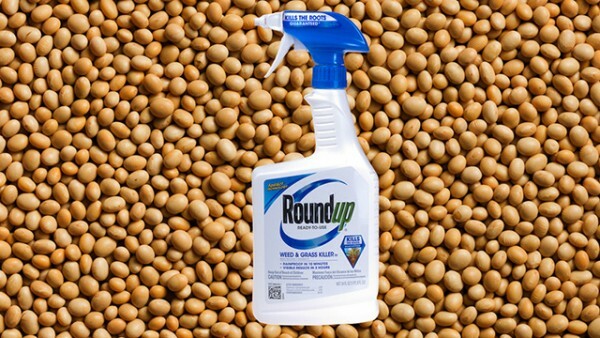 While it was previously known that glyphosate is estrogenic, this new finding underlines the explicit danger of consuming genetically modified Roundup Ready soybeans, or products made with them. Unfermented soy products have been associated with many deleterious health conditions, but most especially cancer. It is not really that surprising that two cancer-causing items could act in unison to cause even more cancer, but regardless, this finding is unsettling. After all, GM soy is a pretty insidious ingredient. Some studies have shown that soy can have adverse effects on men, too. In animal models, exposure to soy isoflavones while in the womb had adverse effects on male sexual development. Another study of 99 men at an infertility clinic revealed that the men who consumed the greatest amount of soy had the lowest sperm count. Some studies have also shown that soy consumption reduces testosterone levels, though it is only a modest reduction. Phytoestrogens are not the only component of soy that people need to be concerned about, either. While phytoestrogens are known to cause breast cancer, the goitrogenic compounds found in soybeans have been found to harm your thyroid, preventing it from functioning properly. This component of soybeans is capable of interfering with the function of the enzyme thyroid peroxidase, which is crucial for proper secretion of thyroid hormones. Unfermented soy is dangerous enough, never mind what happens after you’ve added glyphosate to the mix. Skip the soy and the toxic chemicals by going organic, and never look back. Next : Are you sensitive to gluten, or is your body reacting to what’s hidden in your food? Controversial ingredient sparks debate: Could palm oil give you cancer?